An earlier start means earlier flower blooming , but you need to get your timing right. You can also plant zinnia seeds directly outside after the spring frost, in fact, it’s great to do both. I personally do both every early summer, as this can help spread out your blooming times. 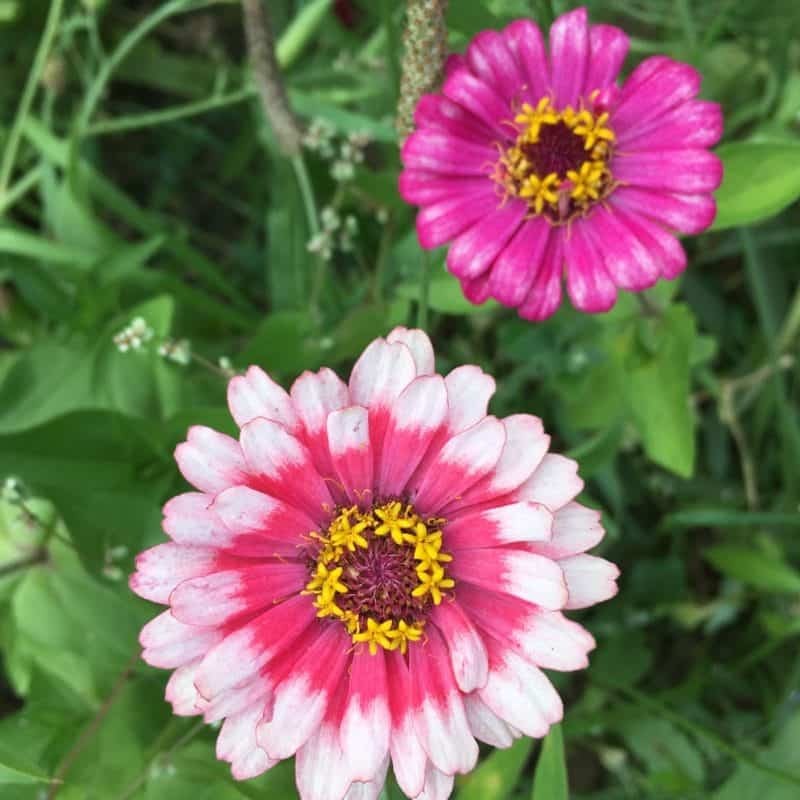 Zinnias are an easy to grow flower perfect for beginner gardeners. Zinnias make a wonderful cut flower, and the more you ‘dead head them’ (cut the flowers) the more they can bloom. 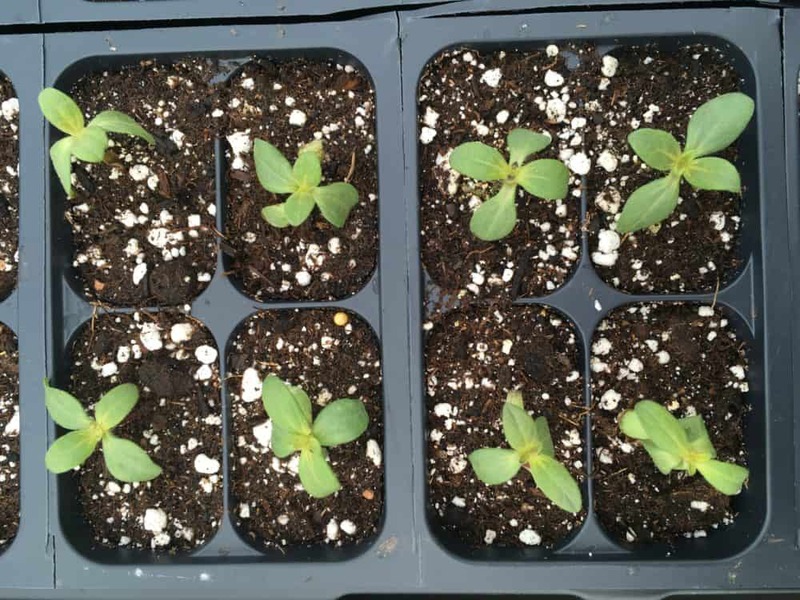 You can achieve earlier bloom times if you start your zinnia seedlings indoors. 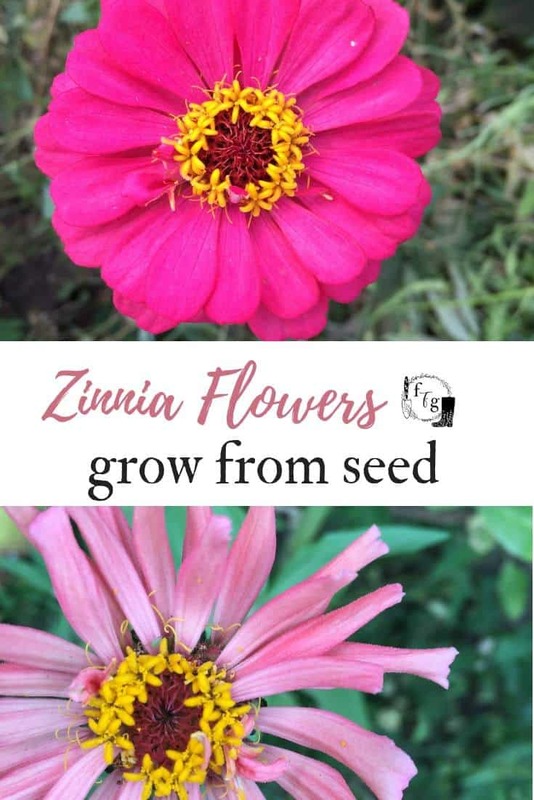 Start zinnia seeds 4-6 weeks before your last spring frost. Just barely cover with soil and sow under grow lights. Seeds will germinate in 4-7 days. Keep the soil moist but not over watered. Be gentle when transplanting zinnias. 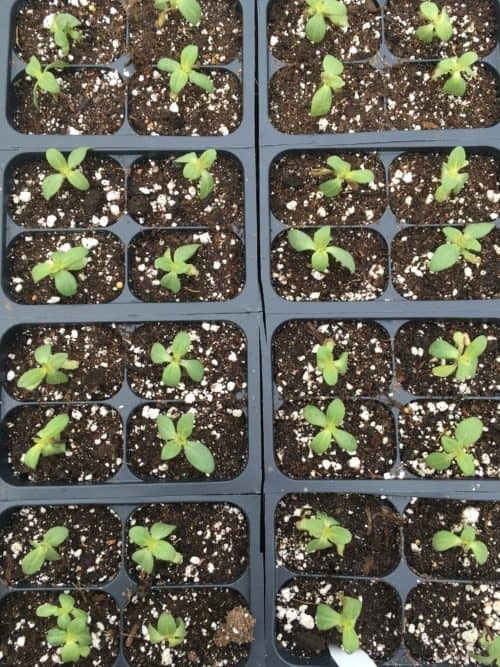 Many gardeners claim they have a hard time transplanting zinnia seedlings and say they’re better directly sown. Some mistakes commonly made are transplanting them too early. They need warm soil, not wet cold soil, and a soil temperature of 21-26°C (70-80°F). Other times the zinnia seedlings are too old and become root bound and don’t transplant well. It’s better to start them 4-6 weeks rather than 6-8 weeks. 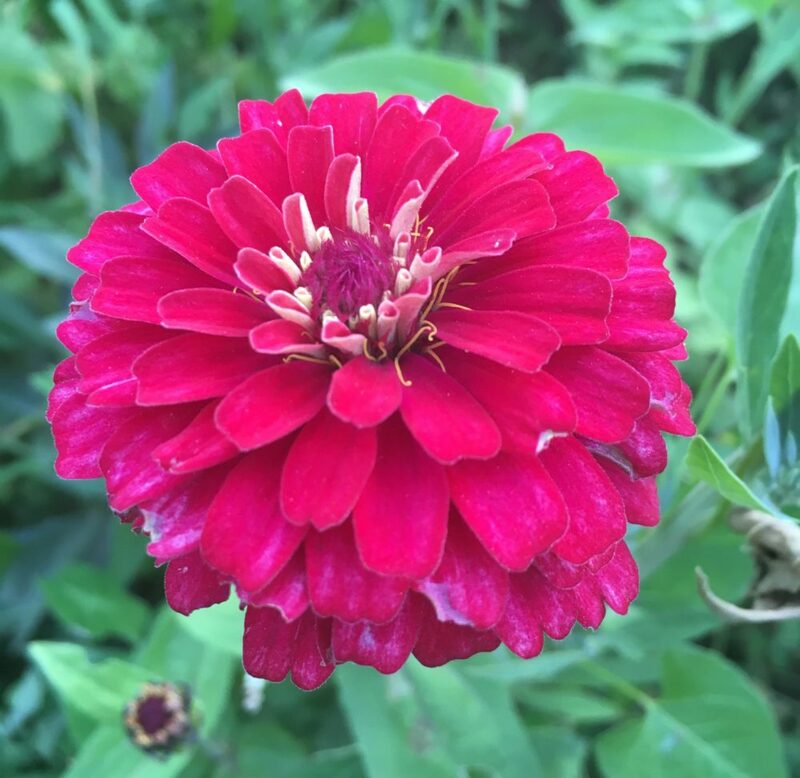 Zinnias are not frost tolerant, so make sure you transplant after the spring frost risk. Plant out 2-3 weeks after your spring frost date. Then you can directly sow zinnias outdoors every 2-3 weeks for continuous blooms. Space 25-30cm (10-12″) between plants. Dead head zinnias when they are around 18 inch by snipping the central bud and using them as cut flowers. 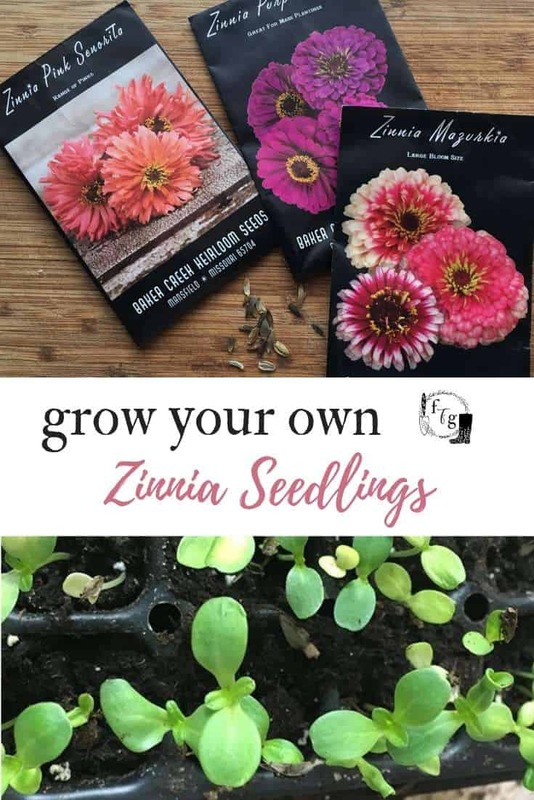 Have you grown zinnia seedlings? Or do you prefer directly sowing them outside?